Bob McEniry is the Chairman of nexAir, a multi-generational Memphis based firm. Bob’s father, R.Q. McEniry, grew up in the industrial and medical gas industry. In 1950, seeing a real opportunity, R.Q. McEniry purchased Standard Welders Supply, a small struggling company, and sought to make Standard a major player in the medical/welding gas and supply industry. In 1963, after graduation from Vanderbilt, young Bob came to work for his father. He was appointed President of the company in 1971. Bob saw the company through tremendous growth, acquisitions, and transitions. In the process, Bob implemented an employee succession plan to ensure that all to the company’s leaders would progress through the ranks under the mentorship of a senior executive. This plan resulted in well-trained and committed employees with very little turnover. In 1996, Bob combined his firm with another Memphis based family-owned company. By merging Standard with Mid-South Oxygen, nexAir became one of the largest privately held distributors of gases and welding supplies in the United States. 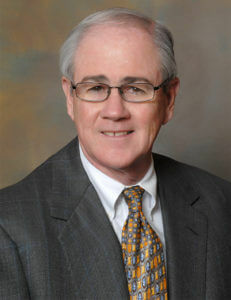 From 1996 until 2007 McEniry served as Chairman of the Board and Chief Executive Officer of nexAir. In 2007, Bob passed the reigns of CEO to his son Kevin. Bob remains as nexAir’s Chairman. The company operates in seven states. Bob is active in the Memphis community. He is the past Chair of Christian Brothers University’s Board of Trustees, has served as Chairman of the Board of Junior Achievement, on the boards of United Way, Mid-South Minority Business Council, SCB Computer Technology, and the Memphis Chamber of Commerce Advisors. He was inducted in the Christian Brothers High School Hall of Fame in 2009, and was named Distinguished Alumnus in 2013.